Curt PallasDowney @sedona_earth_wisdom integrates mindfulness techniques with Medicine Wheel teachings. In this conversation we discuss the writings of Carlos Castaneda and the Yaqui Way of Knowledge, shamanic work and managing energy, the differences between Jesus and Buddha, the shamanic initiatory crisis, reasons for meditation, perceiving life through Ego versus Soul, your light body, a spiritual interpretation of PTSD, and much more. Curt lives in Sedona, Arizona and can be found at www.sedonaearthwisdom.com or contacted at cpd517@centurylink.net or (928) 202-0127. This episode is also sponsored by Webeekind CBD herbal apothecary, @webeekind. Use the coupon code LIGHTHOUSE at www.webeekind.com to get 10% off your purchase order. Book Mentions: Carlos Castaneda’s The Teachings of Don Juan: A Yaqui Way of Knowledge, King Solomon’s The Wisdom of Solomon, and Ted Andrews’ Animal Speak: The Spiritual & Magical Powers of Creatures Great and Small. Traci Webb is a local ayurvedic healer and founder of the Northwest Institute of Ayurveda. In this episode we sit down to discuss her upcoming 9-month online Ayurveda Life Mastery Program and internship, relationships, yoga philosophy, characteristics of healers, and how to master your life. You can learn more about the Ayurveda Life Mastery Program at http://ayurvedicliving.com/ayurveda-life-mastery.html Mention The Humboldt Lighthouse podcast to get a $250 discount off the program. Intro music by @mikelovemusicThis episode is sponsored by the karma yogis @thekozm. Use the coupon code HL10 to get 10% off your purchase order at www.thekozm.com. The Kozm is manufacturing yoga clothing and the conscious capitalism movement.This episode is also sponsored by Webeekind CBD herbal apothecary, @webeekind. Use the coupon code LIGHTHOUSE at www.webeekind.com to get 10% off your purchase order.“Yoga moves the mind away from the world and brings the senses introvert, to the still quiet place. This brings us to our truest nature, which is peace. We say sat-chit-ananda, or truth-consciousness-bliss. Ayurveda was cognized to sustain the physical container and body-mind complex of the yogi to have the samadhi experience. You cannot have one science without the other.”— Traci WebbShow Notes: You can find out more about Traci HERE. Curt PallasDowney @sedona_earth_wisdom integrates mindfulness techniques with Medicine Wheel teachings. In this conversation we discuss the writings of Carlos Castaneda and the Yaqui Way of Knowledge, shamanic work and managing energy, the differences between Jesus and Buddha, the shamanic initiatory crisis, reasons for meditation, perceiving life through Ego versus Soul, your light body, a spiritual interpretation of PTSD, and much more. Curt lives in Sedona, Arizona and can be found at www.sedonaearthwisdom.com or contacted at cpd517@centurylink.net or (928) 202-0127.This episode is sponsored by the karma yogis @thekozm. Use the coupon code HL10 to get 10% off your purchase order at www.thekozm.com. The Kozm is manufacturing yoga clothing and the conscious capitalism movement.This episode is also sponsored by Webeekind CBD herbal apothecary, @webeekind. Use the coupon code LIGHTHOUSE at www.webeekind.com to get 10% off your purchase order.“You meditate not so that you find enlightenment while you meditate; You meditate so that you can respond to your triggers with an enlightened point of view.”— Curt PallasDowneyShow Notes: Essay using the metaphor of a turbulent transformation as the same an engineer confronts “in reconstructing a railway station without interrupting the traffic.”: Self-Realization and Psychological Disturbances by Robert AssagioliBook Mentions: Carlos Castaneda’s The Teachings of Don Juan: A Yaqui Way of Knowledge, King Solomon’s The Wisdom of Solomon, and Ted Andrews’ Animal Speak: The Spiritual & Magical Powers of Creatures Great and Small. Steve Lloyd is a long time yoga and meditation practitioner and a musician. In this conversation we discuss how Steve discovered yoga, the commercialization of yoga, how a meditation practice freed Steve from his rage, Buddhism, the arc of technologic advancement, violence and the American Ego, racism, parenthood, American culture and much more. You can find Steve playing some original music and cover tunes every Monday night from 6 to 9 pm at McKinleyville’s Clam Beach Tavern. You can find out more about the Ayurvedic Life Mastery Program at www.ayurvedicliving.com. 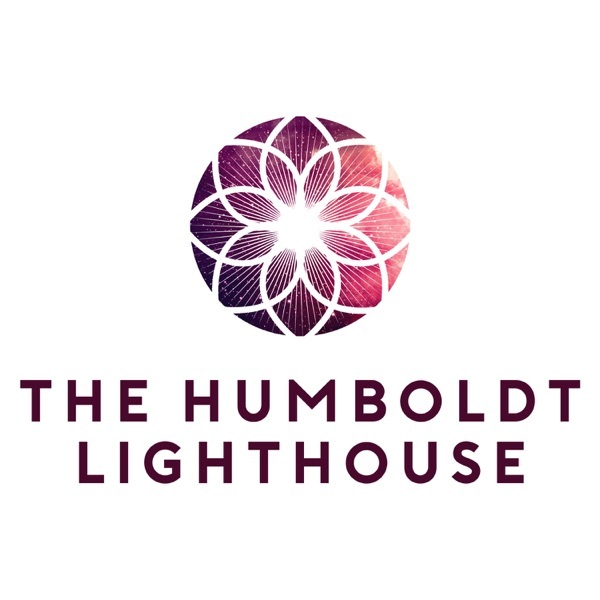 Tell Traci Webb that the Humboldt Lighthouse sent you and receive an additional $250 off the cost of this 9-month transformational program.This episode is sponsored by the karma yogis @thekozm. Use the coupon code HL10 to get 10% off your purchase order at www.thekozm.com. The Kozm is manufacturing yoga clothing and the conscious capitalism movement.This episode is also sponsored by Webeekind CBD herbal apothecary, @webeekind. Support a local Humboldt County business this holiday season by purchasing CBD-infused bath bombs, tinctures, gummies, and salves for you and your pets. Use the coupon code LIGHTHOUSE at www.webeekind.com to get 10% off your purchase order.“I think everyone is doing the best they can with the consciousness they have at the time.”— Steve LloydShow Notes: You can listen to the entire intro song, Cadillac Desert, here.Book Mentions: Jack Kornfield’s Living Dharma: Teachings of Twelve Buddhist Masters, Carl Jung’s The Red Book: Liber Novus, and Colonel David Hackworth’s About Face. Tobin Rangdrol is a somatic educator, teacher, and founder of Middleway Method. In this conversation we discuss economics and government, the Middleway Method non-profit mission, workplace wellness, mirror neurons and radiating your state of being, Tobin’s life journey and witnessing the sacred, massage therapy and state dependent memory, stages of adult development, culture, why libertarian socialism might not be an oxymoron, and more. You can find out more about Tobin and Middleway Method at www.middlewaymethod.com and more about the non-profit at www.middlewaymethod.org.This episode is sponsored by the karma yogis @thekozm. Use the coupon code HL10 to get 10% off your purchase order at www.thekozm.com. The Kozm is manufacturing yoga clothing and the conscious capitalism movement.This episode is also sponsored by Webeekind CBD herbal apothecary, @webeekind. Support a local Humboldt County business this holiday season by purchasing CBD-infused bath bombs, tinctures, gummies, and salves for you and your pets. Use the coupon code LIGHTHOUSE at www.webeekind.com to get 10% off your purchase order.“The way we interact with others is an opportunity to bring meaning and purpose into our lives.”— Tobin RangdrolShow Notes: You can find out more about Tobin at www.middlewaymethod.com and you can find out more about The Middle Way Method non-profit at www.middlewaymethod.org.Book Mentions: Thich Nhat Hahn’s Being Peace; Thomas Lewis, Fari Amini, Richard Lannon’s, A General Theory of Love; Ajahn Chah, Jack Kornfield, Paul Breiter’s, A Still Forest Pool: The Insight Meditation of Achaan Chah; Peter A. Levine and Ann Frederick’s, Waking the Tiger: Healing Trauma; Ayn Rand’s, Fountainhead and Atlas Shrugged. Molly Rose Hilgenberg is a trained breathwork facilitator, yoga instructor and musician who merges holistic healing with creative expression. She is currently a Masters of Social Work candidate at Humboldt State University. She lives off-grid on ancestral Wiyot land with her husband and two dogs, where they enjoy spending free time playing music and being in nature. In this conversation we discuss yoga the yogic path, what your body is trying to tell you, breath work, cultural conditioning, transformation and the kundalini phenomena. You can find Molly and the introductory song “Golden Bells” at www.roseheart.worldYou can find out more about the Ayurvedic Life Mastery Program at www.ayurvedicliving.com. Receive a $500 discount if you sign up before 2/19/19. Tell Traci Webb that the Humboldt Lighthouse sent you and receive an additional $300 off the cost of this 9-month transformational program.This episode is sponsored by the karma yogis @thekozm. Use the coupon code HL10 to get 10% off your purchase order at www.thekozm.com. The Kozm is manufacturing yoga clothing and the conscious capitalism movement.This episode is also sponsored by Webeekind CBD herbal apothecary, @webeekind. Support a local Humboldt County business this holiday season by purchasing CBD-infused bath bombs, tinctures, gummies, and salves for you and your pets. Use the coupon code LIGHTHOUSE at www.webeekind.com to get 10% off your purchase order.“When I started to understand the subtle inner body and what its doing within these poses, I wanted to go out and apologize to my earliest yoga students.”— Molly Rose HilgenbergShow Notes: The introductory music was written and performed by Rose Heart Molly will be facilitating a Rose Heart Breathwork workshop at Om Shala in Arcata! Saturday, February 23rd 3:00pm-4:45pm $10-20 sliding scale (only 20 spots, sign up early at the link below:Rose Heart Breathwork Advance Sign UpIn 2018, Molly studied Breathwork facilitation with David Elliott in New Mexico. David Elliott is the author of The Reluctant Healer and Healing. His website can be accessed at www.davidelliott.com. You can access David Elliott’s guided breathwork via Spotify.Mind Body Solutions, Adaptive Yoga Training: http://www.mindbodysolutions.org/As mentioned by Molly: Circle facilitation training and spiritual quest in Washington State: https://peerspirit.com/ and non-profit http://www.thecircleway.net/Wyrd / Weird etymology from Pagan Europe: The Saxons called Fate "Wurd", the Germans "Wurt" and the Anglo-Saxons "Wyrd" . - these names are the completed aspect of the verb "to be, to become." "Becamemeans the shaper of destiny herself, sums up fates already fulfilled, as she brings new things into being...Wyrd or Werd gave rise ot the medival word for destiny: weird." (Max Dashu "Witches and Pagans")Book Mentions: Bessel A. van der Kolk’s, Body Keeps the Score: Brain, Mind, and Body in the Healing of Trauma, John Warren White’s, Kundalini: Evolution and Enlightenment, and Bell Hook’s, All About Love: New Visions, and Sean Blackwell’s, Am I Bipolar or Waking Up? Veneta Nikolova is a transformational life coach and founder of www.imaginalself.com. She is a self-described mystic, artist, yogini, mindset coach, and quirky philosopher listening to her spirit's guidance. In this conversation we discuss the spiritual path, turning your breakdowns into a breakthroughs, transcending victimhood, religion versus spirituality, triggers and American politics, culture in times of transition, and your imaginal self. Intro music by @mikelovemusic. Enjoy!This episode is sponsored by the karma yogis @thekozm. Use the coupon code HL10 to get 10% off your purchase order at www.thekozm.com. The Kozm is manufacturing yoga clothing and the conscious capitalism movement.This episode is also sponsored by Webeekind CBD herbal apothecary, @webeekind. Support a local Humboldt County business this holiday season by purchasing CBD-infused bath bombs, tinctures, gummies, and salves for you and your pets. Use the coupon code LIGHTHOUSE at www.webeekind.com to get 10% off your purchase order.“We have that capacity to illuminate each other and share the light.”— Veneta NikolovaShow Notes: Share your yoga stories with Kelly O’Roke at kelly@omshalayoga.com. You can listen to the intro song at the following link: Mike Love - Human Race. You can check out the garbage homes HERE. Episode 38: Emily May - Mindfulness, rolfing, & slackline. Spiritual is a reggae singer and songwriter from Kingston, Jamaica. He is a servant of Jah for the children of the world and recently passed through Humboldt County while on tour with his debut album, Awakening. In this conversation we discuss dreadlocks, Babylon and Zion, Rastafari, righteous living, Emperor Haile Selassie, the Bible and teachings of Christ, cannabis use, the legacy of Bob Marley and much more. You can follow Spiritual in Instagram @spiritualreggae and on Facebook @spiritualreggae1 Enjoy!This episode is sponsored by the karma yogis www.thekozm.com, @thekozm. Use the coupon code HUMBOLDT to get 20% off your purchase order. The Kozm, manufacturing yoga clothing and the conscious capitalism movement.This episode is also sponsored by Webeekind CBD herbal apothecary, @webeekind. Support a local Humboldt County business this holiday season by purchasing CBD-infused bath bombs, tinctures, gummies, and salves for you and your pets. Use the coupon code LIGHTHOUSE at www.webeekind.com to get 10% off your purchase order.“Live by your spirit and by your heart. There is only one spirit and it comes from the father.”— SpiritualShow Notes: You can find the introduction track, Stand Up To Rasta, here. Rabbi Eliyahu Cowen is the executive director of the Chabad of Humboldt. In this conversation we discuss Hasidism, the mystical and spiritual dimensions of Judaism, the Torah and the story of Moses, the Noahide Laws, how to know what G-d wants of you, spiritual experience and the soul, The Book of Zohar and Kaballah, the redemption of mankind, prophecy and revelation, the destiny of souls and discovering your soul's mission, tipping the scales of humanity with kind deeds, and much more. You can find out more about the Chabad of Humboldt at jewishhumboldt.com. Intro music by @mihalimusic.This episode is sponsored by the karma yogis at www.thekozm.com, @thekozm. Use the coupon code HUMBOLDT to get 20% off your purchase order. The Kozm, manufacturing yoga clothing and the conscious capitalism movement.“You can view the world and your Self as an equally balanced scale. By doing an act of kindness, you tip your personal scale, and the global scale, toward the better.”— Rabbi Eliyahu CowenShow Notes: Paramahansa Yogananda’s reference to the reincarnations of Elijah and Elisha can be viewed here. The music video for Mihali’s, Fading State, can be viewed here. The Noahide Laws can be reviewed here. Xochi Quetzalli is a local teacher, artisan, and healer. In this conversation we discuss how she found the Red Road, finding mentors along the path, searching for ceremony, how to pray, Standing Rock, Ayahuasca ceremony and how to integrate these lessons, the difference between a medicine person and a healer, connecting with guides and ancestors, what she has to offer the Humboldt County community, and much more. You can find Xochi Quetzalli at xochiketzalli.com. Intro music by @willevansmusic. Enjoy!This episode is sponsored by the karma yogis at www.thekozm.com, @thekozm. Use the coupon code HUMBOLDT to get 20% off your purchase order. The Kozm, manufacturing yoga clothing and the conscious capitalism movement.“Sweat lodge ceremony was my awakener. I awakened to my ancestors, my heritage, and the heritage of us all here on Earth—all of us in every race. ”— Xochi QuetzalliShow Notes: Water is Life by Will Evans music video can be viewed here.Book Mentions: Carlos Castenedas, The Teaching of Don Juan: A Yaqui Way of Knowledge. David Sandercott is a meditation teacher, spiritual life coach, and author of 21 Day Meditation Journey: Connect With Spirit Everyday In A New Way. In this conversation we discuss the stages of enlightenment and the great teachers, ego and intuition, Dr. David Hawkins and muscle testing, meditation and spiritual practice, perceiving the field and holding to the oneness, the enlightenment and teaching of Jesus and Buddha, the life stories of Nisargadatta Maharaj and Gopi Krishna, channeling and shamanism, the tapas and life of Shivabalayogi, the role of a yogi, Self-realization and God-realization, getting woke, samadhi and the upper limbs of Patanjali’s Yoga Sutras, and the conversation ends with a guided meditation. You can find out more about David at www.davidsandercott.com. His new book, 21 Day Meditation Journey: Connect With Spirit Everyday In A New Way, can be found on Amazon.This episode is sponsored by the karma yogis at www.thekozm.com. Use the coupon code HUMBOLDT to get 20% off your purchase order. The Kozm, manufacturing yoga clothing and the conscious capitalism movement.“We meditate to develop our intuition. We can operate from intuition.”— David SandercottShow Notes: You can book an appointment with David here and visit his website here and purchase his book here. The introductory music from The Dubbadubs featuring Kyla Rose can be found here. You can support Isaac Bluefoot’s Omen Quest Kickstarter campaign here. You can find out more about astronauts experiencing samadhi in space here.Book Mentions: Wayne Dyer’s, There’s a Spiritual Solution to Every Problem, The Lamsa Bible, Dr. David Hawkins’, Power vs. Force, and David Sandercott’s, 21 Day Meditation Journey: Connect With Spirit Everyday In A New Way. Episode 34: David Sandercott - Consciousness Calibration, Enlightenment, Yoga, & Meditation. After a tour of combat in the Persian Gulf War, Andrei Hedstrom set out to become a Lutheran Minister. But fate had other plans for him. Andrei is a husband and father, a painter, art community builder, shamanic practitioner and the CEO of the eLearning and cultural transformation firm, SweetRush. He holds a Masters of Science in pastoral counseling, a BA in Religious Studies and is a Dzogchen practitioner. In this conversation we discuss Andrei’s rite of passage as a combat veteran, his healing journey and entry into academia and spiritual life, cutting free of religious dogma, whether the Nobel Laureate and cultural disruptor, Bob Dylan, fits the prophet archetype, the internal experience of grace and salvation, accepting death in war and drinking condensation from air brakes to survive, a spiritual view on the modern economy and the possibility of an empathic civilization, a Christ-centered economy and how to implement it, raising children to be conscious and aware, the intersection between shamanism and art, and a whole lot more. Find out more about Andrei at andreihedstrom.com. Intro music by @willevansmusic.This episode is sponsored by the karma yogis at www.thekozm.com. Use the coupon code HUMBOLDT to get 20% off your purchase order. The Kozm, manufacturing yoga clothing and the conscious capitalism movement.“Your name is the beginning of a sentence. What you make of that sentence is the heaviest responsibility you get. And it’s an immense gift.”— Andrei HedstromShow Notes: Find out more about The Great Turning at joannamacyfilm.org, visit ompractice.com for online yoga and meditation access, and support Isaac Bluefoot’s Kickstarter campaign by visiting Omen Quest Cards.Multimedia Mentions: John Neihardt’s Black Elk Speaks, Thich Nhat Hahn’s, Living Buddha, Living Christ, and Jeremy Rifkin’s, Empathic Civilization: The Rise to Global Consciousness in a World in Crisis, Manuel De Landa’s, A Thousand Years of Non-Linear History, David Abrams’, The Spell of the Sensuous: Perception and Language in a More-Than-Human World, and Martin Prechtel’s, The Smell of Rain on Dust: Grief and Praise.A film about the life of the 14th Dalai Lama’s Life, Kundun.A conversation between Huston Smith and Bill Moyers.A documentary summarizing Jeremy Rifkin’s philosophy, The Third Industrial Revolution: A Radical New Sharing Economy. Maya Cooper is a local energy healer and founder of the Isis Osiris Healing Temple and Wholistic Heartbeat Magazine. In this conversation we discuss Maya’s childhood trials coping with psychic abilities in a world that didn’t understand her experience, how she came to learn to work with her uncommon perceptual abilities, energy healing, connecting to Source energy and softening into unconditional love, the mass awakening, Maya’s most profound spiritual experience, and all the ways she is helping heal the Humboldt County community. Find out more about Maya’s work at www.wholisticheartbeat.com.This episode is sponsored by the karma yogis at www.thekozm.com. Use the coupon code HUMBOLDT to get 20% off your purchase order. The Kozm, manufacturing clothing and the conscious capitalism movement.Intro Music by The Dubbadubs ft. Kyla Rose“Healing is an ever evolving and deepening understanding of what love really is.”— Maya CooperShow Notes: Find Isaac Bluefoot’s Kickstarter Campaign at OmenQuest Cards Kickstarter Campaign. Justin Dzuban is a musician and audio engineer dividing his time between L.A. and Humboldt County. In this conversation we discuss the light, the responsibility of the artist, manifesting houses and why it’s not magic, identifying with our suffering as an identity, why not watching the news might be good for your community, Justin’s Westward migration to California, shooting for the stars and delusions of grandeur in Hollywood, whether or not Elon Musk is a saint, what Justin hopes to inspire in the Humboldt County community, and it all ends with a musical performance. Enjoy!This episode is sponsored by the karma yogis at www.thekozm.com. Use the coupon code HUMBOLDT to get 20% off your purchase order. The Kozm, making yoga gear while building the conscious capitalism movement.“All we have in our life is our mind and our perception of reality. However you feel about the world is all that matters. It’s just energy.”— Justin DzubanShow Notes: Here is a link to the Flight of the Hummingbird talk by Elizabeth Gilbert. Episode 30: Justin Dzuban - The Responsibility of the Arts, Moving West, & the Light. Heidi Bourne @pacificmindfulness is a mindfulness meditation teacher and the founder of Humboldt County’s Pacific Mindfulness. In this conversation we discuss Heidi’s journey into mindfulness, the definitions of mindfulness, wisdom traditions, the role of a spiritual teacher, Spirit Rock Buddhist meditation center, what it means to connect the heart and mind, and what Pacific Mindfulness has to offer the Humboldt County community. You can learn more about Heidi at www.pacificmindfulness.comThis episode is sponsored by the karma yogis at www.thekozm.com. Use the coupon code HUMBOLDT to get 20% off your purchase order. The Kozm, making yoga gear without wrecking the planet!“We have to ask ourselves: How is my practice reflected in my life, and how is my life a reflection of my practice?”— Heidi BourneShow Notes: Heidi Bourne's website can be visited here: Pacific Mindfulness. The intro music can be found here: The Dubbadubs featuring Kyla Rose - Vibes.Book Mentions: Huston Smith's, The Religions of Man and Sylvia Boorstein's, Pay Attention, For Goodness' Sake: Practicing the Perfections of the Heart -- The Buddhist Path of Kindness. Krystal Cooke is an singer-songwriter and visual artist spending the summer in Humboldt County, California. In this conversation we discuss her up bringing and healing journey into holistic medicine, setting boundaries, physical and emotional healing, traveling and the art of building bridges of understanding by making friends with strangers. Krystal also performs two original songs. Enjoy!This episode is sponsored by the karma yogis at www.thekozm.com. Use the coupon code HUMBOLDT to get 20% off your purchase. You can watch their story here.“We’re not taught to respect our bodies and our minds to the degree required to meet our true potential.”— Krystal CookeShow Notes: Intro Music: The DubbaDubs featuring Kyla Rose; Trevor Hall tickets for the September 19th show at the Mateel Community Center can be purchased here. Trevor Hall's song, You Can't Rush Your Healing, can be streamed here or purchased directly from iTunes. Find more of Krystal Cooke's music here and watch her perform here.Book Mentions: Donna Gates and Linda Schatz's The Body Ecology Diet: Recovering Your Health and Rebuilding Your Immunity, Louise Hay's, You Can Heal Your Life, Jack London's, Sea Wolf and The Call of the Wild, Jared Diamond's, Guns, Germs, and Steel: The Fates of Human Societies, and Jospeph Campbell's The Power of Myth.